The Linux family of distributions is large, varied and complex. There are hundreds of Linux distributions in the world, many of them with close ties to other projects and it can be difficult to keep track of the relationships between distributions. 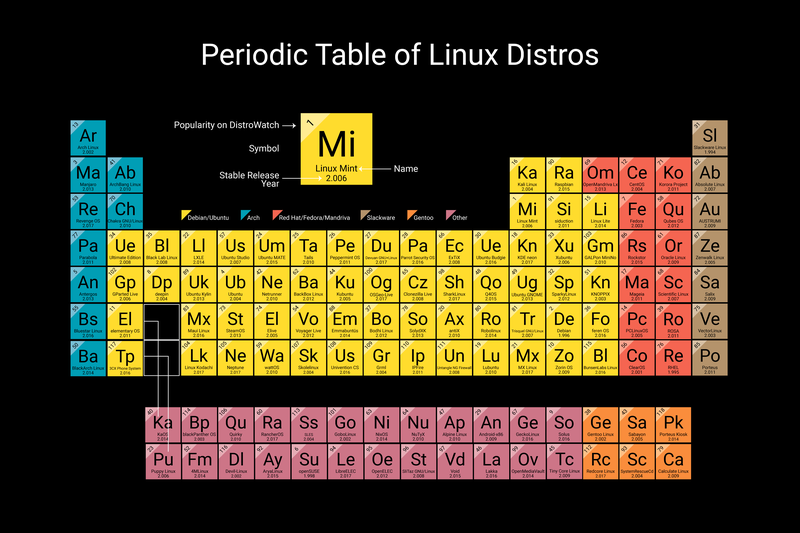 Using the DistroWatch database, another inspired developer has created a series of scripts which assembles a family tree of Linux distributions, showing the life spans and relationships between projects. The result is the below visual representation of the Linux family of operating systems. Clicking on the image will display a higher resolution version of the family tree. Warning: the full resolution image is quite large, apprxoimately 6MB in size.